The Final Countdown to IOSEA SS7 has begun! 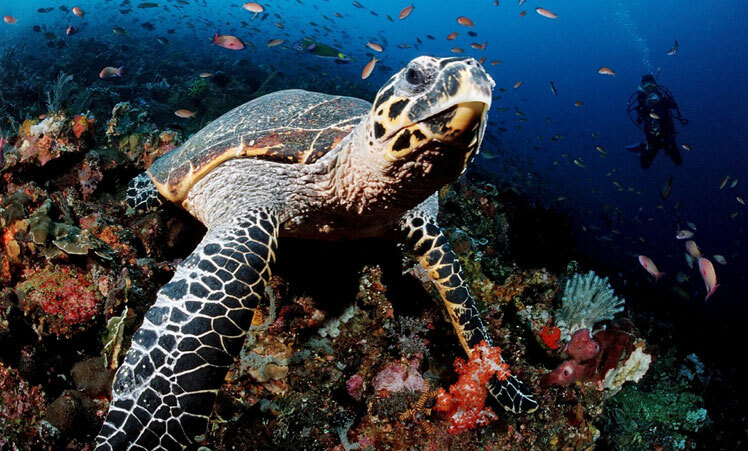 Bonn, 3 September 2014 - Next week, delegates and experts from more than 25 countries across the Indian Ocean – South-East Asia region will assemble in Bonn, Germany, to tackle a packed agenda focusing on marine turtle conservation. Perhaps best known as the birthplace of Ludwig van Beethoven and the former capital of West Germany, Bonn is also home to IOSEA's parent organization, the Convention on Migratory Species (CMS). Besides reviewing implementation of the IOSEA Conservation and Management Plan, aided by a detailed synthesis prepared by the Secretariat, the meeting will consider substantial papers on four themes identified as priorities by the IOSEA Signatory States when they last met in Bangkok in January 2012: (1) Illegal Take and Trade of Marine Turtles in the IOSEA Region; (2) Marine Turtle Genetic Stocks of the Indo-Pacific; (3) Socio-economic and Cultural Implications of Marine Turtle Use and Conservation; and (4) Indian Ocean Fisheries-Turtle Interactions. A fifth major topic will be a thorough review of IOSEA’s Technical Support / Capacity-Building Programme, including recommendations for its future direction, led by the IOSEA Advisory Committee. The meeting schedule incorporates two mini-workshops covering topics of vital importance to marine turtle conservation in the region. Aiming to draw attention to the insidious problem of light pollution, Robert Baldwin (Oman) will convene the first workshop titled: Potential Solutions to Light Pollution – Technology, Management and Regulation. Dr. Peter Richardson (UK) will convene the second session on Stakeholder Engagement through the Community Voice Method, which promises to offer interesting insights into an innovative approach that has been employed with success elsewhere. Last, but by no means least, the IOSEA Marine Turtle Site Network will take centre-stage in Bonn. After years of painstaking development, the network will finally be launched with the nomination of important sites from across the Indian Ocean region. Just how many sites will ultimately be chosen for inclusion in the network at this meeting remains a well-guarded secret. So far, nine different IOSEA Signatory States have put forward 10 candidate sites for consideration: Itsamia, Mohéli (Comoros); Europa Island (France); Sheedvar Island (Islamic Republic of Iran); Thameehla Island (Myanmar); Turtle Islands Wildlife Sanctuary (Philippines); Aldabra Atoll (Seychelles); iSimangaliso Wetland Park World Heritage Site (South Africa); Bu Tinah Shoal and Sir Bu Na'air (United Arab Emirates); and Rufiji Delta-Mafia Channel Complex (United Republic of Tanzania). The nomination proposals will be carefully scrutinized and evaluated by the Advisory Committee, whose recommendations will be put to the plenary for final endorsement on 11 September. Then, the real work of attracting long-term financial support for site-based activities and exchanging information and expertise among networked sites can begin in earnest.